West Indies and Sri Lanka can thank the rain that wreaked havoc during their Test series last year, causing the ODIs to be postponed to a date less than a month before the World Cup in the subcontinent. The delay allows both teams, having finalised their 15-man squads for the World Cup, to test their combinations and the players, several of whom have been playing domestic cricket in the recent months, to regain their groove in the 50-over game. Sri Lanka last played an ODI series in November, West Indies even further back in June when they were thrashed 0-5 by South Africa, and a series in the subcontinent provides a welcome platform for preparation. Sri Lanka play most of their league games at home, though not at the SSC, the venue for the ODI series, while West Indies play none in Sri Lanka but in conditions not too dissimilar. The visitors, moreover, have players who've been out of action for quite some time and in need for some international exposure prior to the big tournament next month. 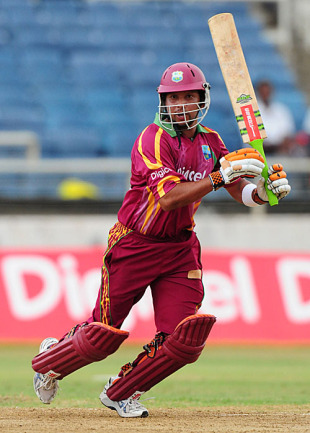 Opener Adrian Barath hasn't played an ODI since March last year, wicketkeeper Carlton Baugh hasn't done the same for more than two years while Ramnaresh Sarwan, recalled for the World Cup, has a point or two to prove to his detractors after having missed out on a central contract and been dropped for the Test series against Sri Lanka. The hosts, with a series win over Australia in their last ODI assignment, their players having done well in the recently-concluded domestic one-day competition and familiarity with conditions start favourites but West Indies stand much to gain if they're able to present a strong challenge. Ajantha Mendis and Rangana Herath: Barring an injury to Muttiah Muralitharan, only one among them will feature in the playing XI during the World Cup. Could this series determine who will start out as Murali's support spinner? Both fared reasonably well in the domestic limited-overs competition - Herath took seven wickets at 20.85, Mendis six at 34 - and have the necessary variations that batsmen have struggled to pick. Mendis has the carrom ball among others, Herath has the one that comes in to the right hander. Will it boil down to who's more successful? Ramnaresh Sarwan: A major pick for the World Cup, Sarwan's form in the one-day format in domestic cricket hasn't been very encouraging. He averaged 21.33 in the WICB one-day tournament and his form in Sri Lanka, where he averages 28.33 in seven games, his worst in a Test-playing nation, is in need of repair. He's had his share of differences with the West Indies board and selectors but his experience has been the decisive factor in his playing the World Cup. The series in Sri Lanka is an opportunity to justify that selection on the basis of performance as well. It could be a toss-up between Herath and Mendis as the additional spinner while Chamara Kapugedera, Chamara Silva and Thilan Samaraweera could be competing for a middle-order slot. Sri Lanka (possible): 1 Tillakaratne Dilshan, 2 Upul Tharanga, 3 Mahela Jayawardene, 4 Kumar Sangakkara (capt & wk), 5 Chamara Silva, 6 Angelo Mathews, 7 Rangana Herath, 8 Thisara Perera, 9 Nuwan Kulasekara, 10 Muttiah Muralitharan, 11 Lasith Malinga. West Indies have picked opener Devon Smith in their World Cup squad, though Barath might be the preferred option. They have Nikita Miller and Sulieman Benn as the two specialist spinners, and the latter could get the nod with Chris Gayle in the mix as a part-time option. West Indies (possible): 1 Chris Gayle, 2 Adrian Barath, 3 Ramnaresh Sarwan, 4 Shivnarine Chanderpaul, 5 Darren Bravo, 6 Dwayne Bravo, 7 Kieron Pollard, 8 Darren Sammy (capt), 9 Carlton Baugh (wk), 10 Sulieman Benn, 11 Kemar Roach. West Indies and Sri Lanka haven't played each other in ODIs in more than two years. Their previous ODI contest was in April 2008 in a series that West Indies won 2-1. Chris Gayle is 115 runs away from completing 8000 runs in ODI cricket. He'll be playing his first ODI in Sri Lanka in more than eight years. Murali averages 27.25 against West Indies, his third-highest against a team. He averages above 30 in ODIs with the ball against India and Australia. "We have a very good team vibe going and it is very important that we maintain that and build on that."